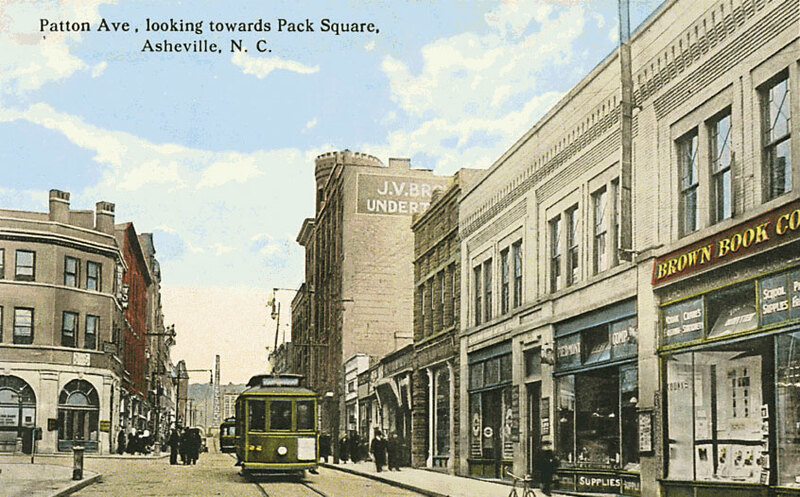 What was life like in Buncombe County 100 years ago, when automobiles and telephones were still a novelty for many, and the United States was keeping a wary eye on the growing battles in Europe? We now have a better idea, thanks to two UNC Asheville history majors, Ashley McGhee and Benjamin Jarrell, who spent their spring semester building an online exhibit, The Great War in the Land of the Sky. The project was born out of a unique collaboration among six liberal arts colleges, dubbed Century America, in which students participated via video teleconferences with the goal of documenting life in their communities circa 1915. Buncombe’s story, Pearson says she was struck by how little prior scholarship there was on local life on the home front. McGhee and Jarrell have filled in many historical blanks. Their site, unca.centuryamerica.org, has pages dedicated to the wartime economy, local newspaper coverage of the war, how diverse communities got by during wartime, and even the great flood of 1916. McGhee, a senior from Old Fort, is a fifth generation North Carolinian, so she didn’t expect she’d learn much new about the region’s history. But she was surprised to find “so much about the personal involvement that women around here had in the war,” she says. The struggle on the home front was often life-changing, and through a detailed page McGhee built for the website, century-old stories of local women—along with those of other key Asheville groups—have brand new life today.